Hearing that a tooth removal is in your immediate future can be scary and a bit overwhelming. Many people envision the procedure as being intense and painful, but that isn’t the case. 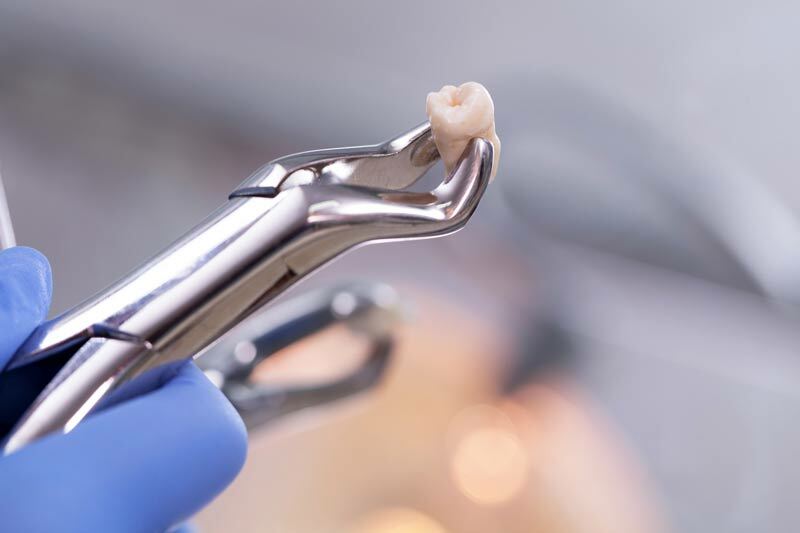 The following guide walks you through a few things you need to know about tooth extractions so that you can begin to feel more comfortable with your upcoming procedure. Our dentists take every effort to make sure that every procedure they do is as painless as it can possibly be. Before tooth extraction is done, a patient is fully numbed so that they don’t feel anything but a little pressure during the tooth removal process. We take the time to make sure that your gums are fully numb before continuing with the procedure to make sure that you feel little to no pain while the tooth is being removed. Extracting a tooth takes little to no time to actually do. Most teeth extraction is done within just a few minutes from start to finish. This means that you don’t have to worry about missing a lot of time from work or school to have the procedure done. After the tooth is removed, there will be some bleeding. Once the bleeding subsides, the healing begins. The area where the tooth was removed will be tender and you need to be sure to avoid drinking from a straw, smoking or eating any foods that could get stuck in the pocket that is left behind after the tooth is removed. Avoiding these things can decrease the chances of dry socket developing and ensure that your healing goes as smoothly as possible. Within a few days, your mouth should feel much better. The original pain from the damaged tooth will be gone and the healing from the teeth extraction should be well underway. We walk you through every step of the process so that you feel at peace with the procedure before we even begin. If any issues do arise, you can always come into the office to talk to the dentist about concerns or to have the area examined to make sure that the area is healing properly so that nay issues can be treated right away.